Sarwate revealed that they had kept an eye on Pujara during the Australia series and had found one 'weakness' to exploit. Nagpur: In football, there are certain goals scored through set-pieces which are known to be straight out of the drawing board and Saurashtra veteran Cheteshwar Pujara‘s dismissal on Monday could well be called a cricketing equivalent where Chandrakant Pandit was the master planner. That Pujara remains tentative at the beginning of the innings is a well-known fact and Vidarbha bowlers’ only aim was to see that he is not allowed to dig his heels to score a ‘Daddy Hundred’. Left-arm spinner Aditya Sarwate, who claimed the biggest prize of his career, revealed that they had kept an eye on Pujara during the Australia series and had found one ‘weakness’ to exploit. “We had a team meeting and had studied (his batting style). Pujara remains tentative in the beginning and just jabs (not coming fully forward) at deliveries. We had watched during the Australia series, so the plan was not to let him use his feet. He likes stepping out, so we had to curtail his shots,” said Sarwate, who had Pujara caught in the first slip by veteran Wasim Jaffer. It was ideal to attack Pujara as only 10 minutes were left for the tea break. 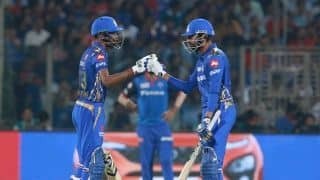 There was turn on offer with Saurashtra having already lost two wickets. “We had to attack. Tea was approaching, just 10 minutes were left, so we brought a forward short-leg. The ball was spinning so a (backward) silly point and a slip was also there to put pressure on him. And it worked,” the 29-year-old said after the day’s play. Pujara was dismissed for just 1 and stayed on wickets for just 16 minutes, facing 11 deliveries in the process. 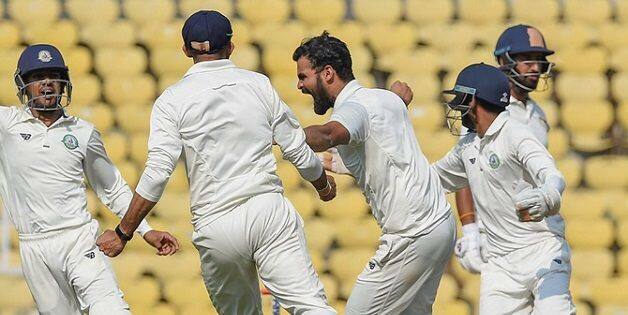 Sarwate took three of the five Saurashtra wickets that fell to put Vidarbha on top as the visitors are still 154 runs behind their first innings total of 312 all out. And this was after their tail wagged very effectively to add 112 runs to their overnight total of 200 for seven. However, Sarwate said their side is still not happy. Patel, who was unbeaten on 87, said they were still not out of the game. “They also batted well in the morning and we can do the same tomorrow. This slow wicket suits my style as I play on backfoot. 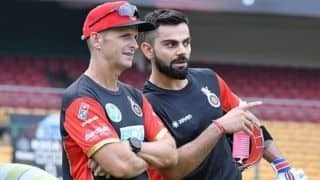 The wicket is not difficult, it (batting) may look difficult but it is not,” Patel said when asked how he made batting look easy when his colleagues struggled.